Stardock was founded by 20 year old college student Brad Wardell to help pay for school. Incorporated in 1993, Stardock focused on developing software for IBM’s OS/2 operating system. Wardell wrote the OS/2 game Galactic Civilizations between taking electrical engineering classes and teaching digital logic lab, and helping run the university Macintosh lab. Galactic Civilizations was released in Fall 1994. The game was a critical success and convinced Wardell upon graduating from college to make Stardock his career. By 1996, Stardock had grown to be a leading developer in the OS/2 market. By teaming up with fellow OS/2 developers such as Kurt Westerfeld, Stardock branched into developing corporate solutions as well such as Object Desktop for OS/2. Its influence on OS/2 was so great that IBM asked Stardock to be closely involved with OS/2 Warp 4 (the default OS/2 Warp 4 desktop layout was designed by Stardock along with elements of its GUI). In 1997, Stardock began to transition its software development to Windows. The "OS Wars" between Windows and OS/2 were drawing to a close with the world largely standardizing on Windows for the desktop. To fund its transition to Windows, Stardock developed a .NET concept in 1998 called "Stardock.NET". Its goal was to provide software as a service in which users would subscribe for a period of time and gain access to its technologies that it would develop on the fly. The first project completed under this new concept was called ObjectDesktop.Net (popularly known as simply Object Desktop for Windows). When a user purchased Object Desktop, they would receive the software already available for it plus new enhancements and additions to it for the subsequent year. The service was a hit and helped launch Stardock into the Windows market in a big way. To help fund Object Desktop, Wardell and his team developed a business strategy game called Entrepreneur. It was a game in which one starts their own company and competes in a chosen market by designing, distributing, and marketing products. It was a commercial hit and helped ensure that Stardock was able to adequately market Object Desktop's release on Windows. The success of Object Desktop on Windows dwarfed Stardock's earlier efforts. Because Object Desktop is essentially a suite of desktop extensions, its components are also available separately and by 2001 were in use by over 5 million users worldwide. This success influenced the Windows market substantially. Object Desktop, in essence, allows users to "Skin" the Windows OS. Other developers began to license Stardock's technology for use in their own software. In fact, in 2002, Microsoft itself released Windows XP, an OS with a "skinnable" user interface. Stardock worked closely with Microsoft during the development of Windows XP to give XP users an unprecedented level of customization options. During this period, Stardock had also launched a customization website called GalCiv2.com. By the end of 2002, GalCiv2.com had become one of the most popular websites on the Internet with over 2 million monthly visitors. In early 2003, Stardock's technology had become increasingly visible thanks to high profile licensing agreements. Movie studioes such as Touchstone had begun using Object Desktop to create the "futuristic" computer interfaces seen in their movies (such as "The Recruit"). Nintendo licensed Object Desktop to create a "Game Cube" desktop for their customers to download. Nvidia and its partners now include an OEM version of WindowBlinds with most of their video cards and includes an nVidia visual style for the entire OS. And Microsoft itself licensed Object Desktop to help market the X-Box game console. 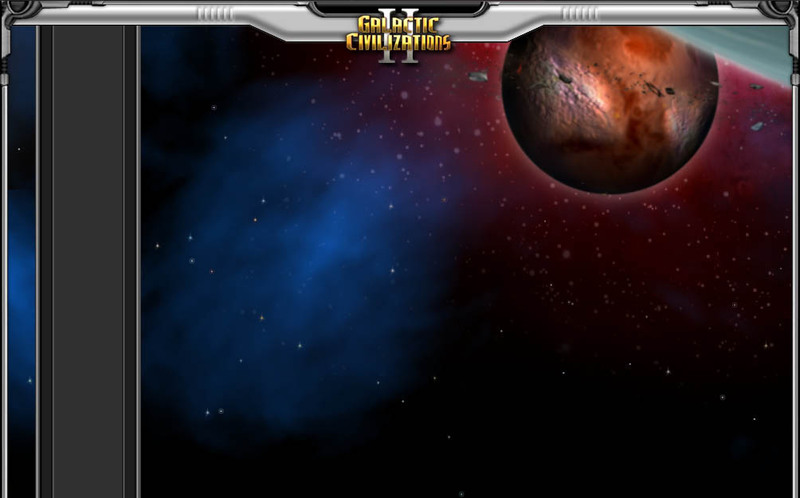 In March of 2003, Stardock released a remake of the game that started it all, Galactic Civilizations as part of its 10 year anniversary. The game quickly climbed to the top of the charts making it to #5 on Amazon.com's best seller list and achieving both critical and commercial success in other media as well. Today, Stardock is spread across the globe. It looks for the best and brightest from around the world. This team works together via the Internet. While the core of Stardock is located in an office complex in Livonia Michigan, nearly half the staff is located remotely. This team continues forward on creating PC software that allows both corporations and consumers to customize their Windows PCs. It occasionally still releases a new PC game now and then. Stardock leads the way in developing technologies that extend the base feature set of Windows. Its business software is used by millions and its entertainment software is both critically and commercially acclaimed. Its founder and CEO, Brad Wardell, has seen his company grow out of his dorm room into a multi-million dollar corporation with employees and contractors on 4 continents. With a high level of profitability and brisk growth, Stardock is poised for even greater endeavors in the coming years.